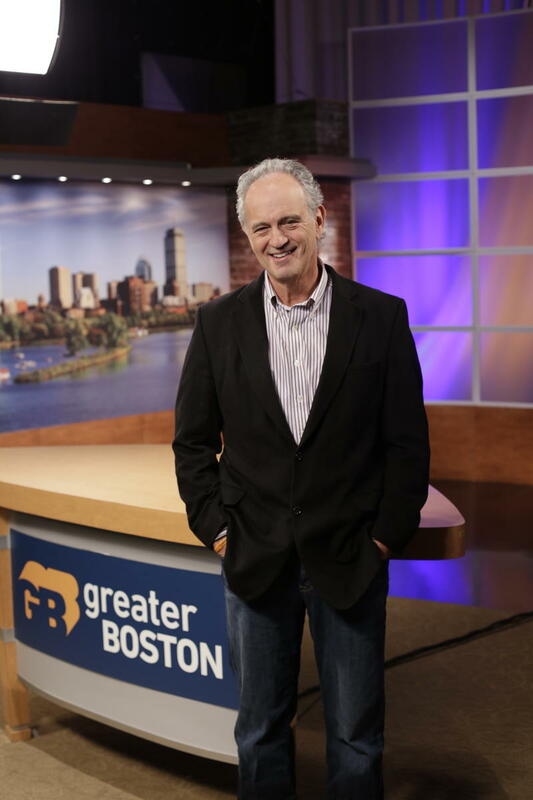 Big news from my other employer, WGBH: Henry Santoro will be joining WGBH Radio (89.7 FM) as a news anchor. Henry announced the move this morning on The Boston Globe’s online radio station, RadioBDC, where he had worked since 2012. Henry and I worked together for years at The Boston Phoenix, where he was the morning news guy on WFNX Radio. His then-future wife, Thea Singer, showed me the ropes when I started as a copy editor at the Phoenix in 1991. When ’FNX closed three years ago, the Globe responded by creating RadioBDC — and hired Henry, Julie Kramer and other longtime ’FNX people. I enjoyed my occasional appearances with Henry on ’FNX, and it would be fun if we could do it at ’GBH as well. WGBH has proved to be a magnet for members of the Phoenix diaspora. Henry joins WGBHNews.org senior editor Peter Kadzis, staff reporter Adam Reilly, political commentator David Bernstein and me. Congratulations to Henry, for whom I have one piece of advice: in public broadcasting, we spell it D-E-A-D. I am very happy to announce that Henry Santoro will be joining our daytime line-up of news anchors. Since Jordan [Weinstein]’s departure both Cristina Quinn and Lynne Ashminov have been handling anchor responsibilities — I thank them both for their excellent work and I’m pleased they will each continue to be part of our on-air news team. Henry joins us from The Boston Globe’s radio property “RadioBDC” where he has been news director since 2012…. 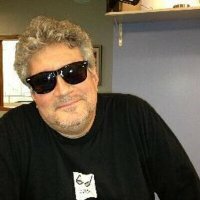 Before The Globe, from 1983 until 2012, Henry was a fixture on the morning radio dial, serving as the award winning news director and morning news anchor for WFNX-FM, owned by the Boston Phoenix. He worked very closely with several of our current WGBH News staff and contributors, including Peter Kadzis, Adam Reilly, David Bernstein and Dan Kennedy. A strong communicator with a very conversational delivery, Henry has done both long and short form content and is a big proponent of the team approach within newsrooms, critical to our continuing development. For ten years Henry was an Adjunct professor at Emerson College where he taught radio and journalism courses. He is himself a graduate of Emerson [see correction below], and also an Associate of Arts in Communication and Journalism from Northeast College of Communications. He is an art collector ( he lectures on Andy Warhol 2-3 times a year), loves cooking ( he owns more than 5-thousand cookbooks!) and music. 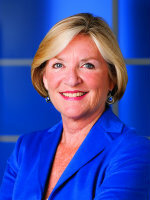 Please join me in welcoming Henry Santoro to WGBH News. His first day will most likely be Tuesday, April 21st. Some big media moves were announced a little while ago as The Boston Globe plans to ramp up its business section next month. First the email sent to the staff by editor Brian McGrory and business editor Mark Pothier. Then a bit of analysis. We’d like to fill you in on some terrific developments in our Business department, all of them designed to build on the exceptional work that went into our Market Basket coverage and so many other news and enterprise stories over the past year. First, we’re reconfiguring the paper to give Business its own section front on Tuesdays through Fridays, starting the first week of December. In fact, Business will get a free-standing eight-page section, somewhere between Metro and Sports. We’ve worked with Mark Morrow and Dan Zedek, as well as an entire team of creative editors and reporters, to conceive a bold new approach to business coverage, both in form and function. There’ll be a more contemporary look, a plethora of new features, and a renewed commitment to the most insightful and energetic business coverage in New England. We’ve got everything but a new name, which is currently, to my chagrin, “Business.” Please offer better ideas. — Cynthia Needham, the Globe’s invaluable political editor for the past four years, the person who has taken us deftly from Brown v Warren to Baker v Coakley, and through so much in between, is heading to Business to help oversee a talented team of reporters and key parts of the new section. There’s not a better person in the industry to help the cause. Cynthia was a vital part of the conception and launch of Capital, our wonderfully popular Friday political section. She knows inherently that journalistic sweetspot where insight meets accessibility. And she is among the smartest, hardest-working, and best-connected editors in the building, all of which is why we asked her to undertake this crucial assignment. Cynthia will start at her new post, as one of Mark’s deputies, next week. — Sacha Pfeiffer will arrive back home to the Globe the first week of December. There’s no way to overstate the significance of this. Sacha is legend here, which has nothing to do with Rachel McAdams, but everything to do with her exceptional reporting over a decade-long stint at the Globe, during which she shared in the Pulitzer Prize for the Spotlight series on clergy child abuse and a litany of national honors for other stories. She’s been a star at WBUR since 2008, recognizable for her expert reporting and authoritative on-air presence. The exact particulars of Sacha’s beat are still being worked out, but it will focus on wealth management and power, along with a weekly column tailored to the huge and vital nonprofit world in greater Boston. Sacha, like Jon, will report to Cynthia. We’re aiming to make our business coverage a signature part of the Globe, both in print and online, which shouldn’t be hard, given that we’re starting from a very strong position. Our reporters have attacked their beats with gusto. Shirley [Leung] has proven to be a must-read columnist every time she taps on her keyboard. Our editors have poured creativity into the job, and it shows. The reimagined section will launch December 4, give or take a day. We have mock-ups we’ll share with the whole staff early next week. In the meantime, please take a moment to congratulate Cynthia and to welcome Jon and Sacha to the Globe. Now, then. This is great news for Globe readers, although I would express the hope that expanded labor coverage will be part of this as well. But for those of us who watch the comings and goings of local media people, the most surprising development is Sacha Pfeiffer’s return to the Globe. Chesto’s move is less surprising because it’s a step up. But the Boston Business Journal has been set back on its heels given that executive editor George Donnelly left at the end of last month. Update: I’m not sure when this was added, but Herald editorial-page editor Rachelle Cohen tells Romenesko that she vetted the cartoon: “Herald editorial page editor Rachelle Cohen tells me neither she nor artist Jerry Holbert saw anything wrong with the cartoon. ‘Jerry doesn’t have a racist bone in his body,’ she says. He chose watermelon because he had just seen that flavor of toothpaste in his house, says Cohen.” So now we have the cartoonist and his editor both claiming that they didn’t see any racist intent in the watermelon reference. At best, this speaks to a lack of diversity in the newsroom. Holbert went on the newspaper’s online radio station to apologize, and said he understood he compounded his error when he failed to notify the Herald that his syndicate had told him to alter the cartoon so as to eliminate the racial inference. And today, the paper publishes a straightforward apology. On the editorial page, Holbert apologizes again. But now it’s time for the Herald to close the circle. Even if Holbert didn’t understand why African-Americans are offended by stereotypes of black people as placid, happy watermelon-eaters, are we to believe that editorial cartoons somehow leap onto the pages of the Herald with no intervention on the part of editors? While the exact origins of this stereotype remain unclear, an association of African Americans and watermelon goes back to the time of slavery in the United States. Defenders of slavery used the fruit to paint African Americans as a simple-minded people who were happy when provided watermelon and a little rest. The stereotype was perpetuated in minstrel shows often depicting African Americans as ignorant and workshy, given to song and dance and inordinately fond of watermelon. I agree with my WGBH colleague Emily Rooney of “Greater Boston,” who said last night (above) that she believes Holbert when he says he had no racial intent — but that someone at the Herald should have caught it before publication. The Herald should tell us who approved the cartoon and why. In case you missed it, here is how the story unfolded on Wednesday. Two of my WGBH colleagues, Callie Crossley and Jim Braude, were welcomed to the honorary board of Cambridge Community Television recently. (Robin Young of WBUR and I were the picks last year.) Congratulations to both Callie and Jim. CCTV is a great example of how volunteer media can make a difference in providing local news and fostering civic engagement. On the evening of Aug. 13, while I was checking Twitter, I started to see reports coming in that the police in Ferguson, Missouri, were forcibly suppressing nonviolent protests. Five days earlier, on Aug. 9, a teenager named Michael Brown had been killed by a police officer under circumstances that are still unclear. I turned on CNN, which was running a story on the death of Robin Williams. So I turned back to Twitter. Several people I was following posted livestreams. I clicked on one called “I Am Michael Brown Live” from KARG Argus Radio, a community radio station. What I saw was incredible. It certainly wasn’t HDTV — the video was dark and green, likely shot with nothing but a smartphone, showing a column of police officers advancing and using flares and rubber bullets to disperse a peaceful crowd. Later, the cable channels started covering Ferguson live — but they were mainly showing the KARG footage, as it was pretty much the only material they had. Ferguson showed the power of citizen media. Reports from the scene on Twitter, Instagram and the like kept growing and building until finally the mainstream media were forced to take notice and cover the story. At a time when the traditional media don’t have the resources to cover stories the way they did 20 years ago, ordinary people armed with smartphones can serve as an early warning signal. A story can begin with citizen media and work its way into the mainstream — and from there into the national consciousness, as was the case in Ferguson. It was widely reported that two journalists were arrested the night of Aug. 13 — Wesley Lowery of The Washington Post and Ryan Reilly of The Huffington Post. In fact, there was a third — Antonio French, a St. Louis alderman who had been covering the protests on social media from the beginning. Lowery — who video-recorded the officer who was arresting him — and Reilly were quickly released. It took longer for French. But how much longer still if he hadn’t been an elected official? At at time when everyone can engage in acts of journalism, we need protection not just for professional journalists but for people using the tools they have available to report what is happening around them. What professional journalists do is incredibly important. The stories they tell, when done well, give us the information we need to govern ourselves in a democracy. 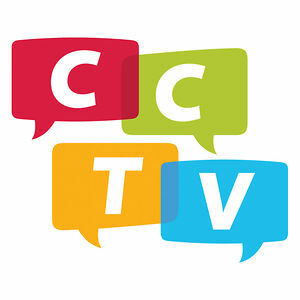 What you as citizen journalists involved in public media such as Cambridge Community TV are doing is every bit as important. Many times you are on the front lines of local stories that are too local for the mainstream to bother with. And you’re the early warning signal for the mainstream. What happened in Ferguson underscores the value and importance of what you do every day. All of us in professional journalists admire what you’re doing, or at least we should. This evening is to salute you.